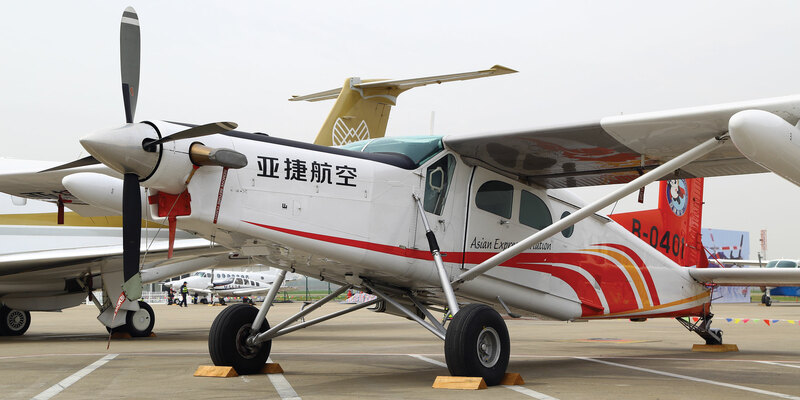 Fuselages for Pilatus PC-6 Porters are now manufactured in Chongqing, China, by Pilatus Aircraft Industry (China), a joint venture between Pilatus and a Chinese partner led by vice chairman Zhang Wei. After building the fuselages, they are shipped to Pilatus Aircraft’s headquarters in Stans, Switzerland, where PC-6s are built. And some of those PC-6s are delivered back to China, where about 20 of the powerful utility single-engine turboprops currently operate. The PC-6 is a perfect replacement for aging Russian AN-2 biplanes, of which about 300 remain in China, according to Zhang. The PC-6 is much less expensive to operate and runs on more easily available jet fuel. Some of the China-based PC-6s are flying tourists in Hunan province, he said, and others are used for utility operations such as skydiving. “The Porter is a beautiful aircraft for this,” Zhang told AIN.